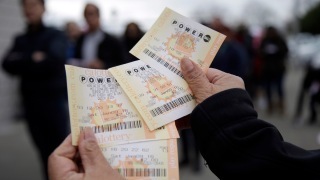 Fifteen tickets each won $50,000 by matching the first four numbers plus the Powerball. Virginia Lottery officials say there were plenty of consolation prizes in the most recent Powerball drawing in the state. While no one matched all six numbers Saturday to push Wednesday's jackpot to an estimated $1.3 billion, lottery officials say one ticket sold in Suffolk matched the first five numbers to win $1 million. In all, the Virginia Lottery says more than 489,000 tickets bought in the state won prizes in Saturday's drawing.